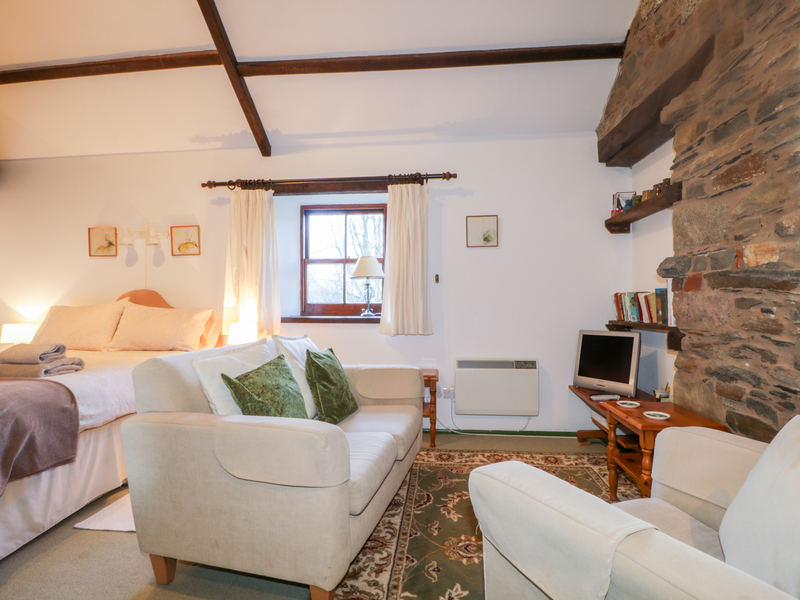 Troutbeck 5.3 miles.This first floor studio apartment is situated around a courtyard, overlooking the River Caldew, on the edge of the hamlet of Mosedale and 5.3 miles from the village of Troutbeck. All first floor. One bedroom , sitting area with a double bed with the kitchen/diner separate. Bathroom with shower over bath. 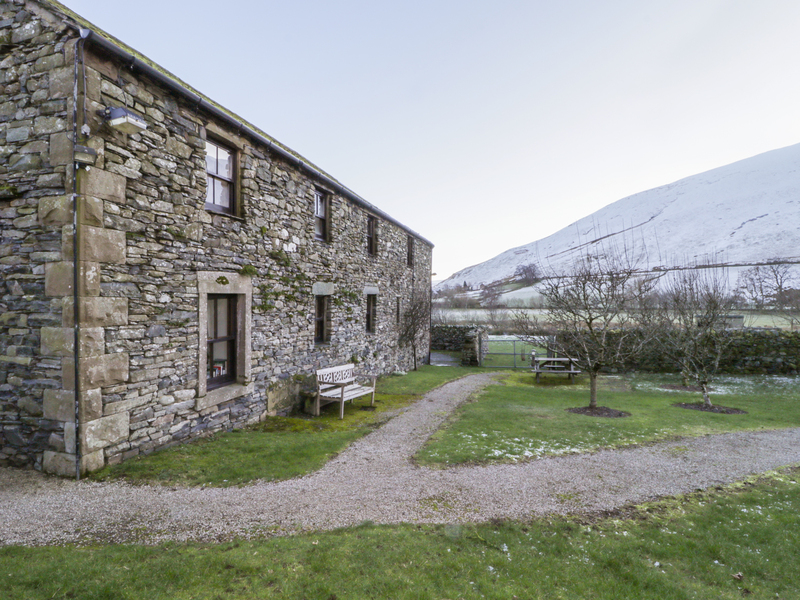 Access to an external utility room and shared use of grounds with four acres of paddocks and gardens,The Hayloft is an excellent place to stay all year round. All first floor. One double bedroom with sitting area. Bathroom with bath, shower over, basin and WC. Kitchen with dining area. Electric night storage heaters. Electric oven and hob, microwave, fridge/freezer, shared use of courtyard laundry room with washing machine and tumble dryer, TV with Sky, DVD. Fuel and power inc. in rent. Bed linen and towels inc. in rent. Ample private parking. Shared use of gardens with summerhouse, picnic table, BBQ, river and pond. Sorry, no pets and no smoking. Shop 5 miles, pub 1.5 miles. Note: There's no mobile phone signal at this cottage, however guests do have use of a shared payphone. Note: Property accessed via an external stone staircase. Note: Adults only, no children.